We performed at “Listen to Your Art” day at New City School for our third consecutive year demonstrating improvisation on Duke Ellington’s “C Jam Blues” and other pieces. We’re practicing our holiday material and plan on joining the Ferguson community on December 20th at the Ferguson Farmers Market in cheering things up with some Christmas song favorites. As the year draws to a close, we’d like to thank all those who have helped support the project during the year: The Jubilation Foundation and Jubilation Foundation Fellowships of The Tides Foundation, The D’Addario Music Foundation & Planet Waves, The Saigh Foundation, The Fender Music Foundation, The Vine at St. Stephen’s, The Regional Arts Commission of St. Louis Social Impact Fund, The Harry Chapin Foundation, The Pokey LaFarge Band & 12×12 Management, Give StL and the Greater St. Louis Community Foundation, Nina Needleman Swartz and New City School. Here’s hoping you have a joyous holiday season and a Happy New Year from The Strings Attached project!! Civil unrest in Ferguson and the South Grand neighborhood we operate in has created a temporary shut down for Strings Attached. 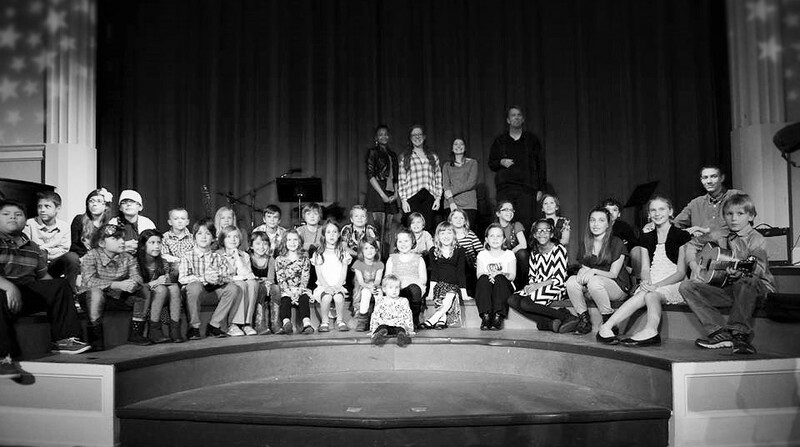 But before it started we got in our 2014 fall recital held this year at New City School. The school’s spacious auditorium and stage was great! We had a good crowd of students, family and friends who came to share music and cookies. Thank you all for participating. 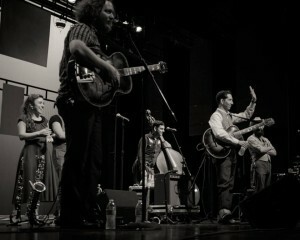 We had a great time this month “on the road” with the Pokey LaFarge Band(www.pokeylafarge.net) visiting local schools for music and Q&A’s with students. This round we visited the students at Ferguson Middle School and Central High VPA in St. Louis with performing arts students. What an enthusiastic response from both schools! They were dancing in the theater and wouldn’t let the band go with questions about performing, practice and how to develop the discipline to be a musician. Thank you to Pokey and Band, Ferguson Middle School and Central High VPA for helping Strings Attached project put together this exciting experience for aspiring talent in our schools! Strings Attached has also become a standard for Ferguson-Florissant School District’s “Little Creek Homecoming,” by providing music for the day at Little Creek Nature Area in North County. Hundreds of family members came for the perfect fall weather, scenery and family-activities at this annual celebration. We’re happy to be part of it! 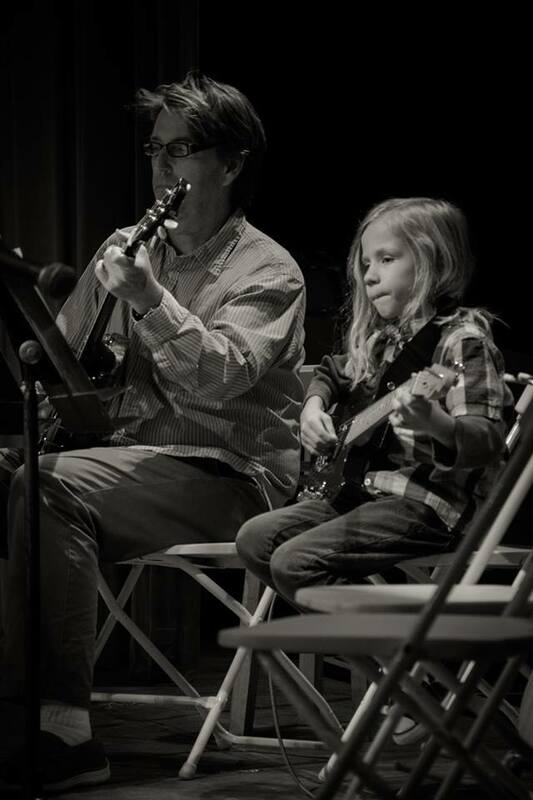 Thanks to Jubilation Foundation Fellowships of Tides Foundation, we’ll be doing a full school year artist residency at New City School providing guitar, ukulele and mandolin training to over one hundred 3rd and 4th graders during school and after school. The project will culminate with community performances of youth at the school and youth from other schools in the North County. The video also features a soundtrack by The Strings Attached project! Watch, and be sure to listen! 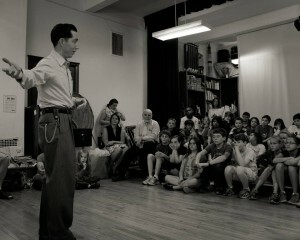 Also in October, we’ll have our second tour of area schools with entertainer POKEY LAFARGE. Pokey and Strings Attached project will be visiting Ferguson Middle School in Ferguson, Mo., and St. Louis Public School’s Central High for the Visual and Performing Arts. Pokey will be presenting American music and discussions about guitar and the history of American music. Pokey is currently on “The Central Time Tour” with Dom Flemons, The Tillers and our friend Mat Wilson of the Loot Rock Gang. Unlike many music study programs, Strings Attached keeps going during the summer. I like to listen to students come in for their lessons with tales of summer travels to other states, camping trips, sleep-overs with friends and family reunions. But I especially like to listen to students who expand on their Strings Attached studies with additional summer music adventures – and to have some of my own. 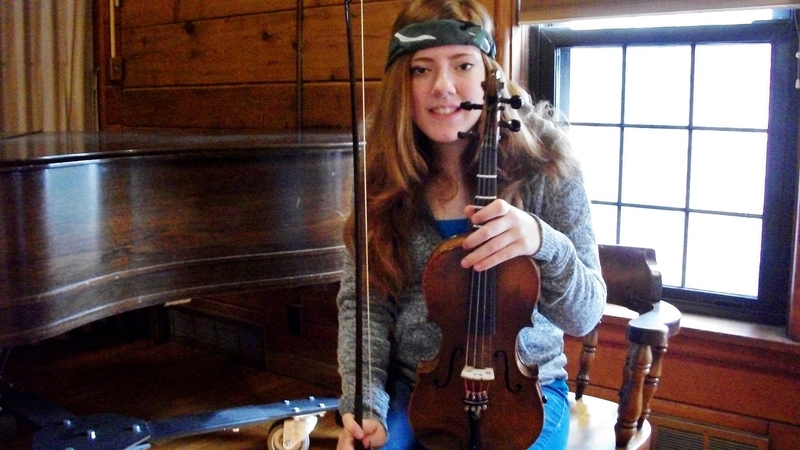 Student Sarai, who studies guitar and ukulele with us and attends The Grand Center Arts Academy, where she studies violin, spent part of the summer at Little Stone Music Festival Camp. Littlestone Summer Music Festival is a two week music day camp for young musicians in grades 6-12. Their mission is to provide young people with opportunities to develop confidence and community through creativity and diversity. Their campers and their families originate from all around the globe, including Sudan, Egypt, Laos, Mexico, and also throughout the U.S. It is their hope, that through creativity and performance, campers will leave their camp with a sense of self-confidence and open-mindedness. Music has the power to bring all people together, regardless of culture, or economic means. 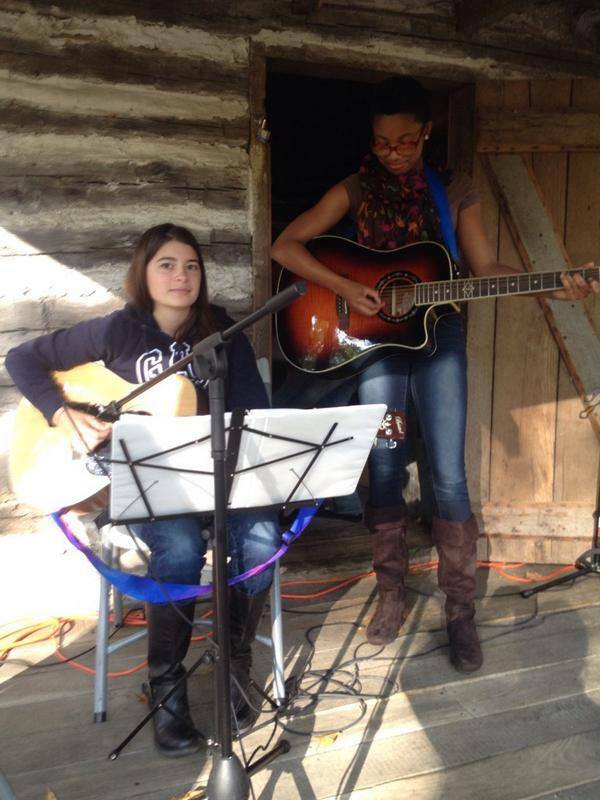 During the camp, Sarai created music at a songwriting workshop and studied in jazz ensemble. Student Ben continued his roots music interest in early blues, jazz and Grateful Dead’s Jerry Garcia with his second year of jazz band summer camp at UMSL (University of Missouri St. Louis.) It’s here that he gets a chance to put his improvisation skills to use and those Freddie Green “Fat Chords” that he’s has learned from me in lessons at St. Peters. He also frequently plays at a local coffee shop open mic night, hangs around on Cherokee Street’s music scene and jammed this summer with a visiting Reggae music band that he made contact with at 2720 Cherokee art gallery and performance space. Lots of musical history has taken place at Carnegie Hall and we’re glad Dacia got to learn about it and be a part of it this summer! I had my own music adventures this summer in Los Angeles, hanging out at a new ukulele community performance/study/store/coffee shop called, “U-Space.” U-Space is dedicated to all things ukulele, including hosting a Ukulele Expo. U-Space is a collaborative effort between Brad Ranola and Cary Hitsman of Anacapa ʻUkulele, Blues-ʻUkulele artist and educator, Jason Arimoto, Six-time grammy award-winner, Daniel Ho, and the Japanese American Cultural Community Center (JACCC). U-Space is a coffee shop, a music school (with a heavy emphasis on ʻUkulele), and a retail ʻUkulele store all in one location. 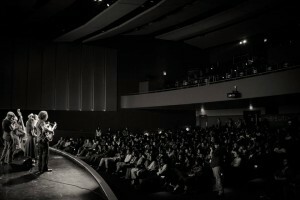 U-Space is focused on building community through music and ʻUkulele. Brad and Jason also facilitated a “Ukulele-along” at The Music Center while I was there, where I had the opportunity to get together and play music with 300 fellow ukulele strummers on some roots music by Phillip Phillips (“Home”) and The Everly Brothers (“Wake Up Little Susie!”.) If you can imagine the sound of 300 ukuleles all playing together – what a rich sound! 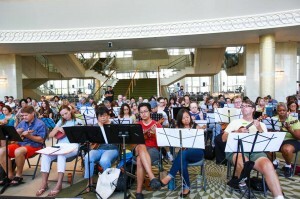 The day was put together by “Active Arts at The Music Center” in Los Angeles. Active Arts offers DIY arts experiences to the public throughout the year. A lovely and touching summer musical experience happened to student Sarah when her 96 year old great grandfather passed away. Sarah decided to play “Amazing Grace” at her great grandfather’s funeral as a way to honor his life. She learned the song here at Strings Attached. The kids who joined us this summer for beginning jug band classes at Mission:St.Louis used their new ukulele and washboard skills to entertain community at a picnic at the end of the summer academy classes. Mission St. Louis provide a continuum of services for youth that amplify academic achievement, social development and neighborhood involvement. Their goal is to create a dynamic support system that will ensure youth graduate high school prepared to succeed in post secondary education. They focus particularly on 2nd through 10th grade students and provide them with In-School and Beyond-School support via four specialized opportunities: Adopt-a-classroom, after school programs, morning reading programs and summer academy. Strings Attached is happy to partner with Mission StL this summer and looks forward to continuing providing music lessons to some talented youth we discovered there this summer. One summer student declared that he has hopes now to continue music studies so he can audition for school jazz band classes. We’re happy students are making use of what they learn here at the project, getting involved with community through music and expanding their experiences – even during summer breaks! Great work! We had a busy and fun April with a BIG spring recital, school visits with Pokey LaFarge and busking at “I Scream Cakes” on “Cherokee Nights” in the Cherokee Street Arts District. 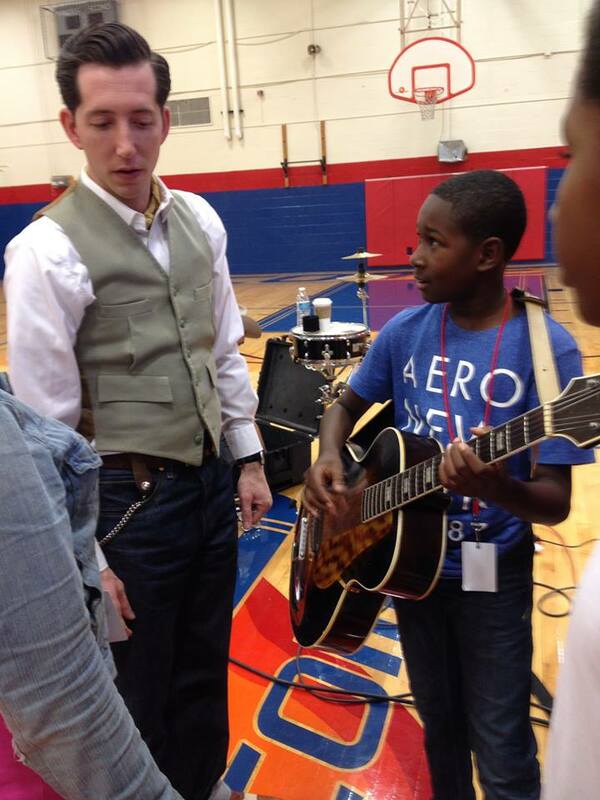 We had a terrific day out and about with American music artist Pokey LaFarge during a break from his world travels, to visit the Grand Center Arts Academy and New City School. Pokey presented talks on American music, music history, recording history and guitar demonstrations to delightful classes of 5th graders, middle and high school youths, including question and answer sessions with them. Pokey brought guitars, a vinyl record player and 78’s, 45’s and 33 1/3 LP’s. And we got “Down on the Corner” at Cherokee Street Nights with Otis and Miles busking on guitars, ukuleles, washboards, spoons and banjos to entertain community and folks enjoying ice cream and street tacos on a beautiful spring night. Lots has happened for the project – and lots coming up! The project will be helping Dacia with expenses for her trip with funding from our “special projects” collections made at student recitals, your CD purchases or from foundation grant funding. You can also help by contributing at Dacia’s Plumfund . We had a great time at New City School on “Listen to Your Art” day. We met lots of people, encouraged several to learn how to play ukulele with free lessons and performed with Strings Attached student Otis on some blues music for the collected audience. We were also joined by slide guitarist, Doug Foehner for our first installment of the series,”Slide!” presentations – bring various slide guitar instrumentalists in for demonstrations of their art form. Many thanks to Mark Regester Photography for donating images of the day to us. And to see a short video of our performance that day Click Here to hear Otis play the 12 bar blues! 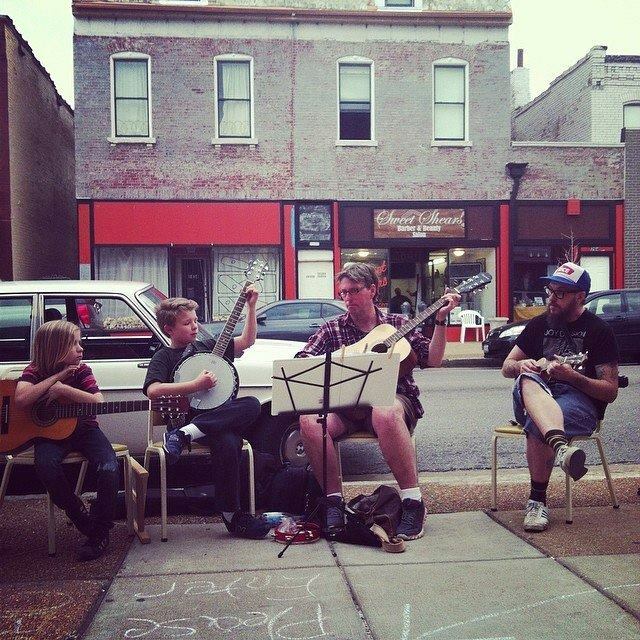 On April 10th we plan on busking out in front of I SCREAM CAKES on Cherokee Street as part of the monthly, “Cherokee Nights,” a monthly gathering of Cherokee street businesses and people enjoying the evening air in the Cherokee Arts District. 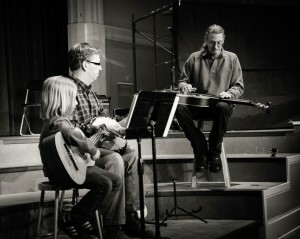 We’ll have Strings Attached students, banjos, ukes, spoons and washboards available to make music and sing. Come by, eat ice cream and join us! We’ll also be out visiting New City School and The Grand Center Arts Academy with American roots music artist Pokey LaFarge. And we’ll have our 2014 Spring Recital on Friday, April 25th at 7PM at St. Stephen’s parish hall. Please attend to hear student progress! And please bring a plate of cookies for our potluck cookie spectacular. Lots to do this month with Strings Attached project. What are your American Music Roots? Strings Attached student Morgan recently caused me to reflect on our personal musical roots. Many of us have instruments that have been handed down from our elders, and these instruments have history and stories behind them. Morgan plays violin in her middle school orchestra though the Des Lee Fine Arts Collaborative (http://www.desleefinearts.org/ ) She’s been playing violin since 3rd grade on her great grandfather’s violin. 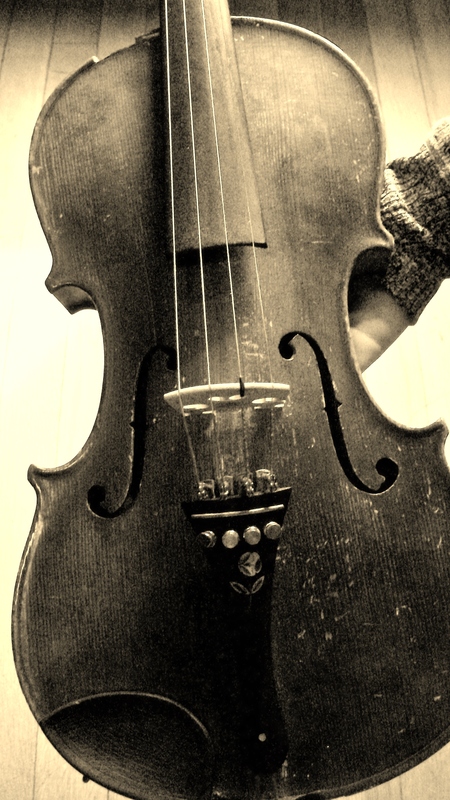 The violin has a wonderfully aged sound and a temperamental G-string tuning peg that likes to slip in the midst of our rehearsals. But it also has history! To me, that violin still carries the timbre of a “fiddle,” so I wasn’t surprised when I heard the background of the instrument. The investigation also revealed that Morgan’s great, great-grandfather, Otto Gaedig, was an accordion and trumpet player who played taps at Buffalo Bill Cody’s funeral in 1917. Buffalo Bill Cody was a frontier scout and famous for his “Wild West Shows” from the 1890’s to 1906. Discussing all this with family members of my own, I discovered that my grandfather’s “fiddle” was hidden in the family closet. He bought it during the Great Depression as well and used to play it at barn dances on his farm in Troy, MO. He had built a small stage and dance floor on the rural farm and surrounding farmers and families would come there to dance on the weekends, with grandpa playing fiddle for them. The fiddle hasn’t been played in decades, but there it was, hidden away and neglected as many instruments become. Etched in small letters on the back of it is a name, “Maggie.” No one seems to know who that was. Could be a previous owner, could be a sweetheart before grandma came along. I also discovered my great-grandma was a fiddler in her isolated farm cabin. Hard for many of us to imagine, but before television, movies, the Internet and all the other distractions of our times, most people played music instruments for entertainment. 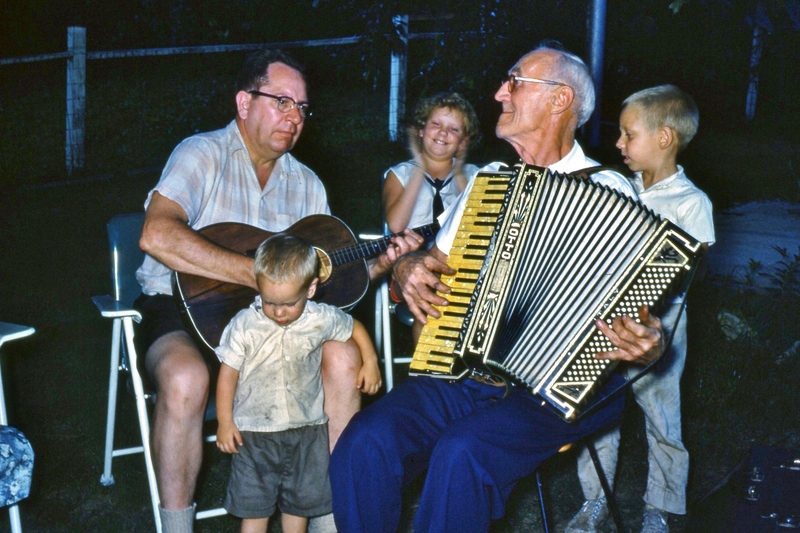 Pianos were common in living rooms instead of TV’s and rural folk played stringed instruments on their porches with neighborhoods for fun or at barn dances like my grandpa. So what’s your American music roots? Do you play an instrument that was handed down in your family – or know where one exists and what the story/history is behind it? We’d like to hear about it!! While Strings Attached youth prepare during these cold winter months for the warm Spring recital (Friday, April 25th) we are preparing for some school visits starting with New City School’s 2nd Annual, “Listen To Your Art” day on March 8th at New City School in the Central West End. This will be our 2nd annual visit as well and we’re looking forward to spending the day with New City School students and community. We’ll be bringing along Doug Foehner and his wonderful collection of slide guitars as part of our “SLIDE!” series of demonstrations on the wonders of various forms of roots slide guitars – National steels, dobros, pedal steels, Sacred steel and bottleneck slide guitars and guitarists we’ll be inviting in. We’ll also be prepping for some in school visits with St. Louis musician, songwriter, bandleader,entertainer, innovator and preservationist, Pokey LaFarge during the month of April. 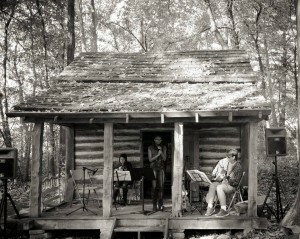 Please visit http://www.pokeylafarge.net/ to hear music and read more about this wonderful St. Louis entertainer. Pokey and Strings Attached will be meeting with area middle school youth to discuss and demonstrate American music, bringing his instruments, his songs and recordings to share with everyone during breaks in his tour schedule. And we’ll enjoy a Strings Attached “night out” to see Pokey perform in celebration of St. Louis’ 250th Birthday Celebration- “Burnin Love” on Valentines Day, February 14th on Art Hill. “Art Hill becomes “Heart Hill” in this Valentine-themed kickoff party for St. Louis’ 250th anniversary. Live musical performances, fire dancers and a fireworks display will bring the heat to a chilly February evening.” And food!